Today, we are launching a new WebDAV Setup page to supply Giganews members with more WebDAV configuration options with Dump Truck online storage. We recently announced that all Diamond Giganews memberships were upgraded to include 30 Gigabytes of Dump Truck online storage at no additional cost and all other accounts would receive 5 Gigabytes of free storage. Giganews members asked for more WebDAV configuration options, and today we are happy to provide them. WebDAV is a protocol that allows you to mount Dump Truck just like a hard drive in Mac OS X and Windows, as well as access Dump Truck on mobile devices. Create, change and move files and folders while maintaining your file structure. See how easy it is to set up WebDAV on your computer and mobile device for Dump Truck online storage. Every Giganews membership includes Dump Truck online storage for free, so we invite you to sign up today. If you’re already a Giganews member, get started with Dump Truck and WebDAV. To stay up to date on Dump Truck, please subscribe to our blog, and follow us on Giganews Facebook, Giganews Twitter and Giganews Google+. Today, we are extremely excited to announce that we have added Dump Truck online storage to every Giganews membership at no additional charge! All Giganews Diamond members now have free access to 30 GB of Dump Truck online storage. All other Giganews accounts have access to 5 GB of free Dump Truck online storage. After hearing from Giganews members that they want an online, secure, personal storage service, we announced our plans to partner with Golden Frog to bring online storage to Giganews members. Today, we are happy to deliver online storage to Giganews members. Over the last 18 Months, our successful partnership with Golden Frog has led to the development of new innovative products and tools for Giganews members. We first partnered up with Golden Frog to create the Mimo Usenet Browser + Search. 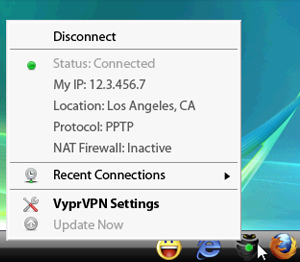 Shortly thereafter, we brought Golden Frog's VyprVPN Personal VPN service to Giganews members. Now Dump Truck Online Storage by Golden Frog is included free with every Giganews account. Dump Truck is a personal online storage service created by Golden Frog with a focus on speed and security of personal data. Use Dump Truck to store and access your photos, documents, data and files from anywhere in the world. Dump Truck uses 256-bit encryption to secure your files and delivers the same unlimited speeds you expect from Giganews. All Giganews members can simply login to Dump Truck to get started. If you're not already a Giganews member, we invite you to take advantage of our Dump Truck Launch Special! Please subscribe to our blog and follow us on Giganews Facebook, Giganews Twitter or Giganews Google + to stay up to date on Dump Truck online storage.